A bronze patina bible. 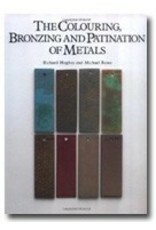 The most comprehensive book on patina colors out there. Buy them while you can, they move fast! A must for the studio. 371 pp.+ Many color plates and patina samples.